Cut the avocados in half lengthwise, separate both sides and extract the bone, remove the pulp and place it in a bowl, mortar, or molcajete. Add the pinch of salt and the juice of the lemons. 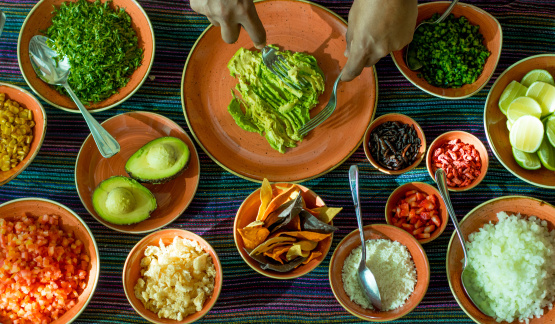 Start crushing the avocados, either with the help of a mortar handle, the owl of the molcajete or simply with a fork, until obtaining a puree. Once ready, add the onion, tomato and cilantro, and continue mixing until all the ingredients are incorporated. Adjust seasoning and incorporate the optional ingredients, personally suggest choosing only one of them, so as not to combine flavors.